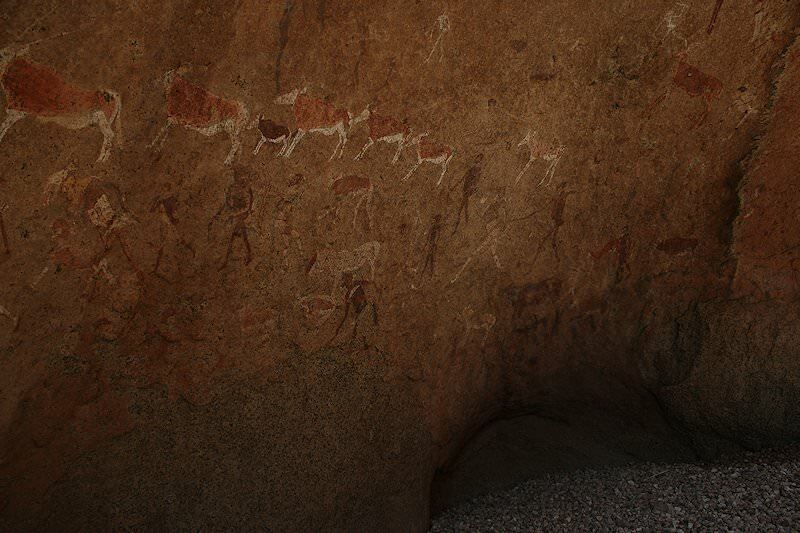 The most exquisite destinations in central and northern Namibia are explored in the company of a knowledgeable African Sky guide. Guests are met at 09H30 by their African Sky guide. 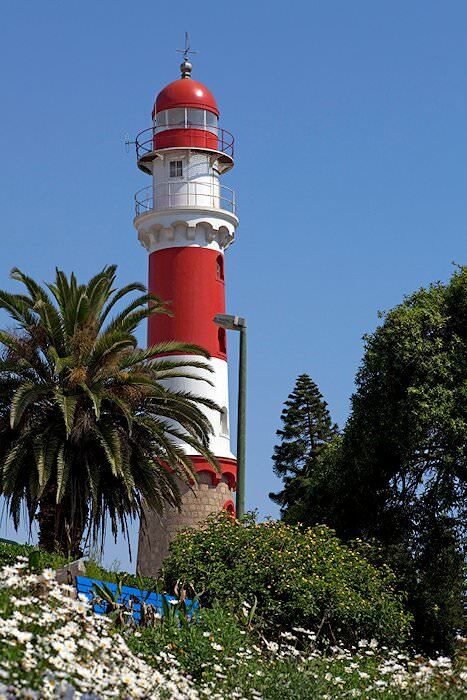 Your tour then departs Namibia’s only city and heads off in a westerly direction. Traveling first north along the national B1 route to the village of Okahandja, we then turn west en-route to the bleak Skeleton Coast. 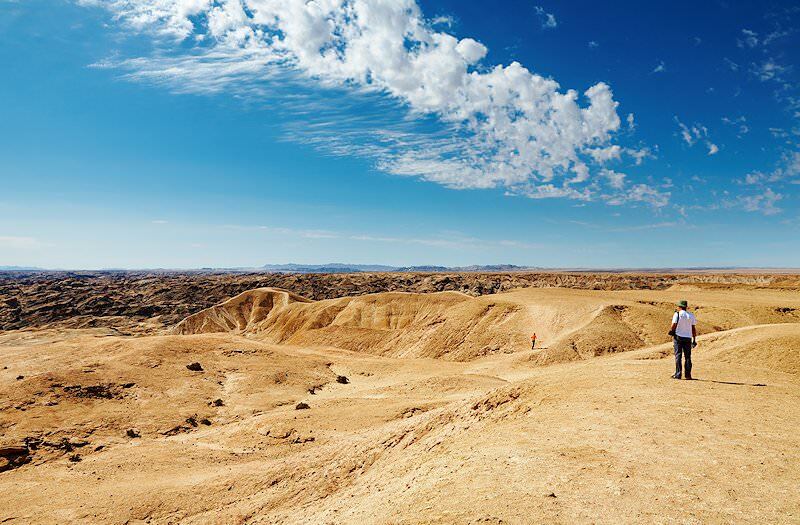 As we travel the landscape becomes increasingly arid. About 140km from the coast, we pass through the village of Usakos or ‘grab the heel’ in the Damara language. In the Usakos locality a rare form of manganese phosphate, Purpurite, is mined. This mineral’s striking purple color and reflective properties are popular amongst jewelers who often use it to manufacture bracelets and earrings. 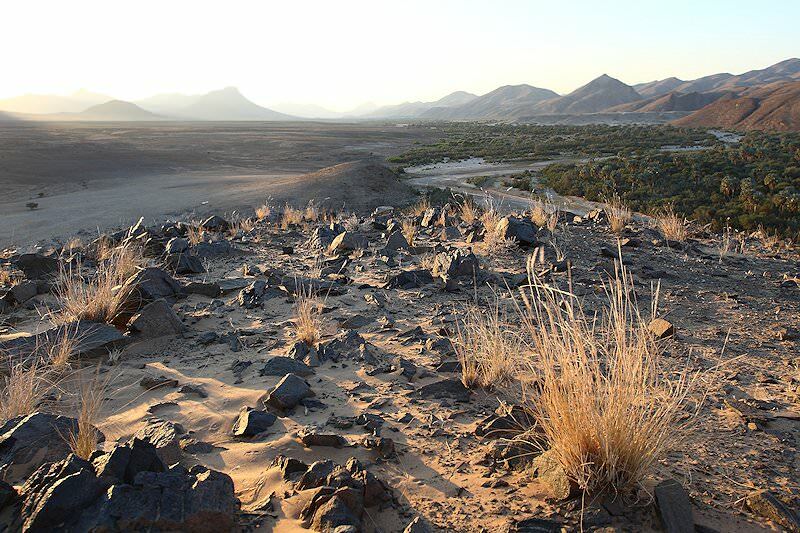 As we approach the coast we enter the Namib-Naukluft National Park, with the barren ‘lunar landscape’ to your left. It is in this region that the endemic Welwitschia plant is often encountered. Sometimes referred to as ‘living fossils’, individual specimens are estimated to be as old as two thousand years. The Welwitschia, most closely related to conifers, and like the lichen fields in the same area, survives on moisture carried in from the Atlantic ocean some 80 kilometers away by onshore winds. During the mid-afternoon, we reach the coast where the remainder of the day is spent at leisure. 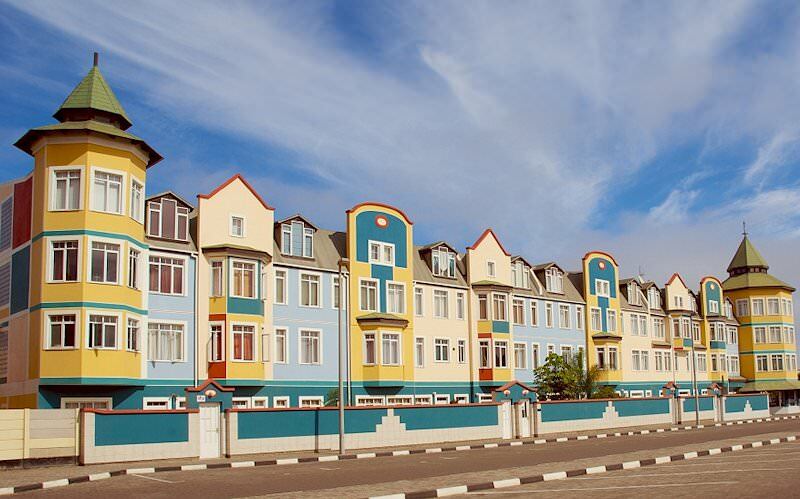 Guests may opt to do a little exploring on foot in Swakopmund if they wish to stretch their legs. Your excursion today is tide and weather dependent. You’ll be notified in due course of the pick-up time. From Swakopmund the activity makes its way to Walvis Bay, passing the salt production plant and then heading out into the vast Namib dune sea. Finally, the sandy 4x4 track reaches the coast as we continue southwards along the beach en-route to Sandwich Harbor, about 60 km (37 miles) from Walvis Bay. Alternatively, if the swells are too high or if the weather is generally poor and the track along the coast is considered unsafe, we’ll view Sandwich Harbor from the top of the surrounding high dunes. Sandwich Harbor – a saltwater lagoon, is designated a 'Wetland of International Importance’ and some 40,000 birds - 34 different species in total, were recorded in the area during recent surveys. Take a leisurely walk around the lagoon, an official marine sanctuary, and you might also see seals, dolphins and even whales. A lunch stop is included before returning to Swakopmund. After the last breakfast in Swakopmund, we say goodbye to civilization as we travel north towards the ‘Skeleton Coast’ on the coastal ‘salt road’. 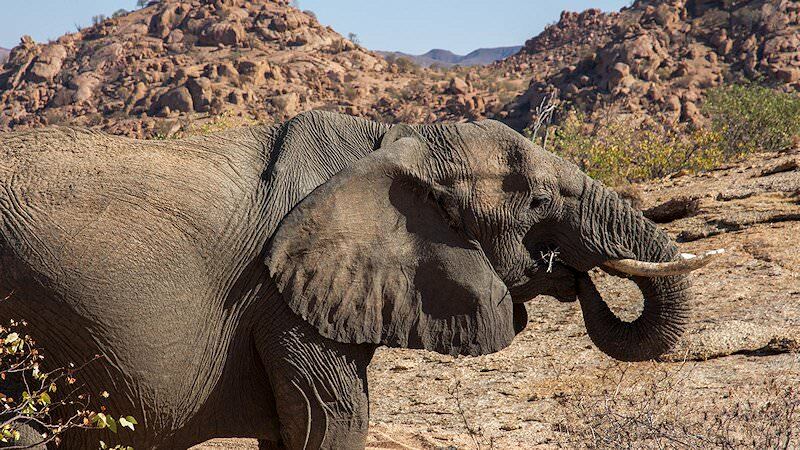 This northern coastal region of Namibia is one of the remotest locations on the planet. While the landscape is barren and almost completely devoid of any feature, the adjacent cold Atlantic Ocean is rich in nutrients and supports a diverse variety of wildlife. Our first stop en-route is at Cape Cross. The Portuguese navigator-explorer Diogo Cão, in his search for a sea route to India and the Spice Islands, placed a stone cross here in the 1480s. Today a replica of the cross is on display at this location. Cape Cross is a protected area and home to one of the largest colonies of Cape Fur Seals on the African continent and one of the largest seal colonies in the world, numbering at least 80,000 individuals. After some time spent viewing the seals the tour continues northwards along the coast before heading inland to Bergsig. 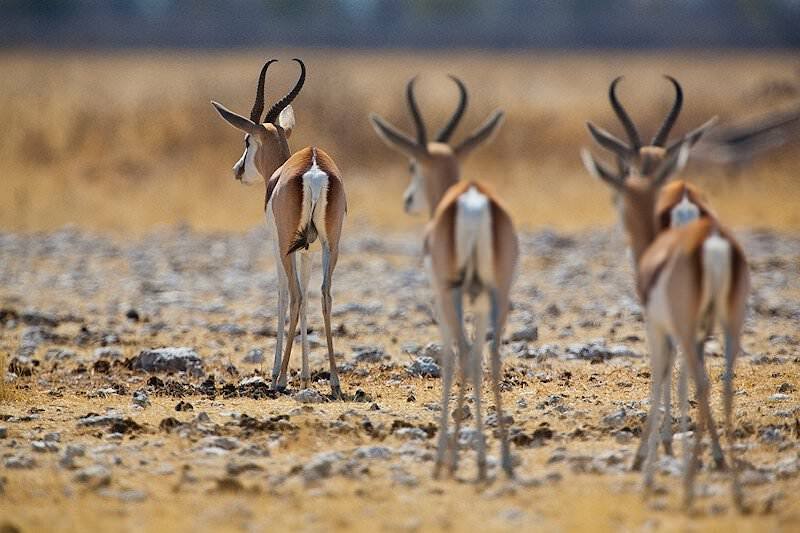 As we leave the coast behind, signs of vegetation begin to appear and sightings of common animals like springbok, gemsbok, and kudu are possible. We reach our overnight accommodations in the late afternoon. After breakfast the tour continues eastwards through an increasingly wooded environment and big sky country towards Etosha National Park, entering at Galton Gate. 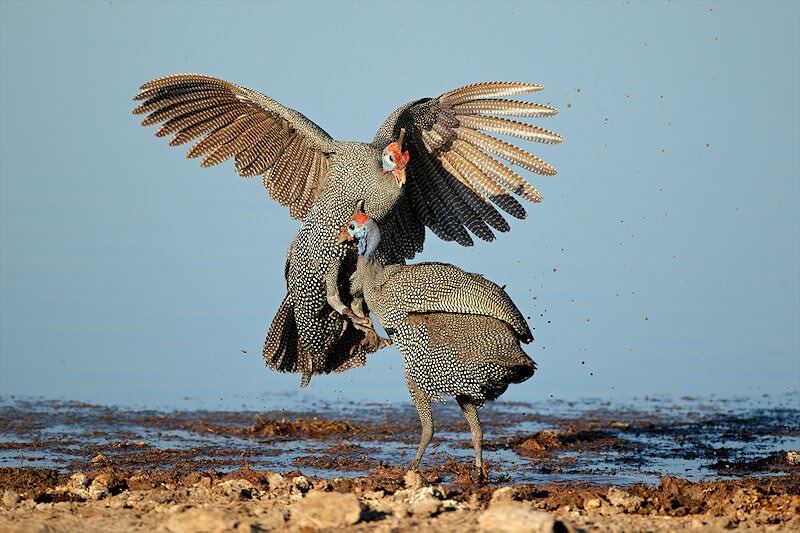 Etosha is a place of contrast, taking on a completely different appearance after heavy summer rains and in the process attracting impressive flamingo migrations. 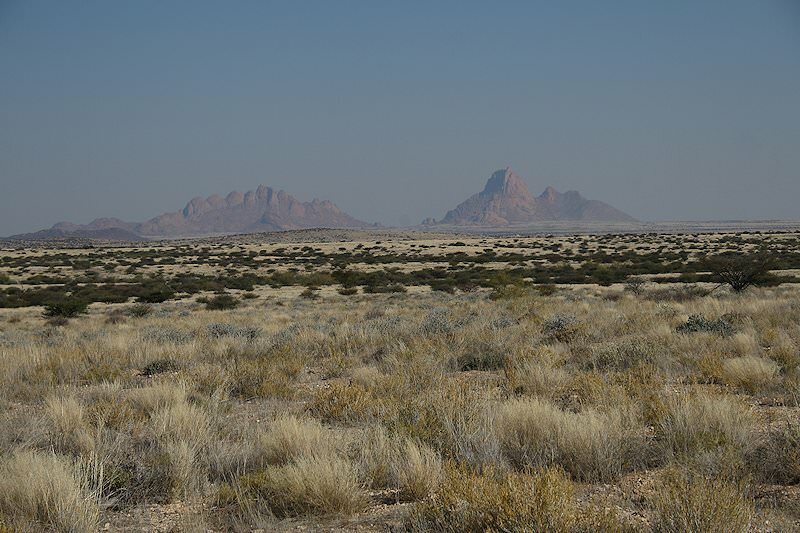 The dry brittle vegetation turns a soft green, the animal breeding season begins and for a few months the flat landscape the Ovambo people call the ‘place of great white spaces’ sheds its arid image. 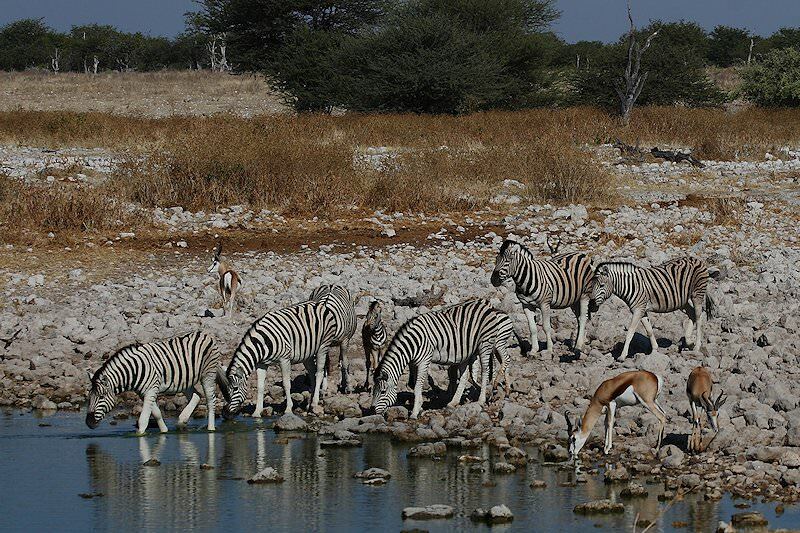 For the remainder of the year, the park is dry and arid, with thousands of zebra, springbok and an impressive variety of species concentrating around a handful of permanent waterholes. The next two days are devoted to safaris in the region surrounding Dolomite Camp. 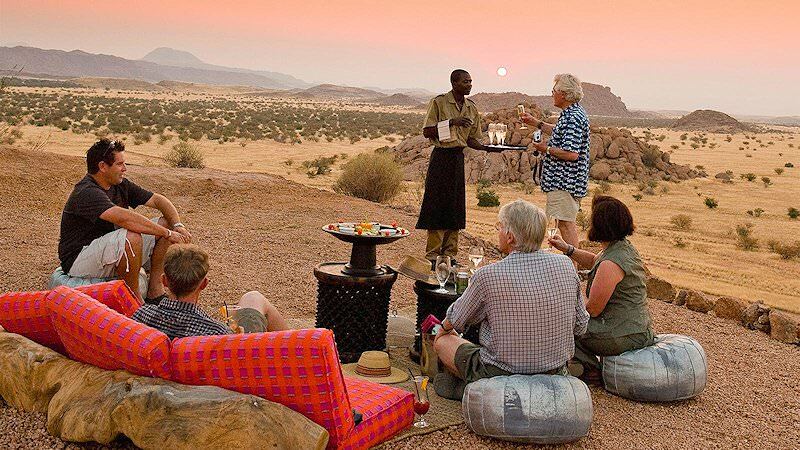 Your days are devoted to game drives in the Okaukuejo and Namutoni regions of the park. 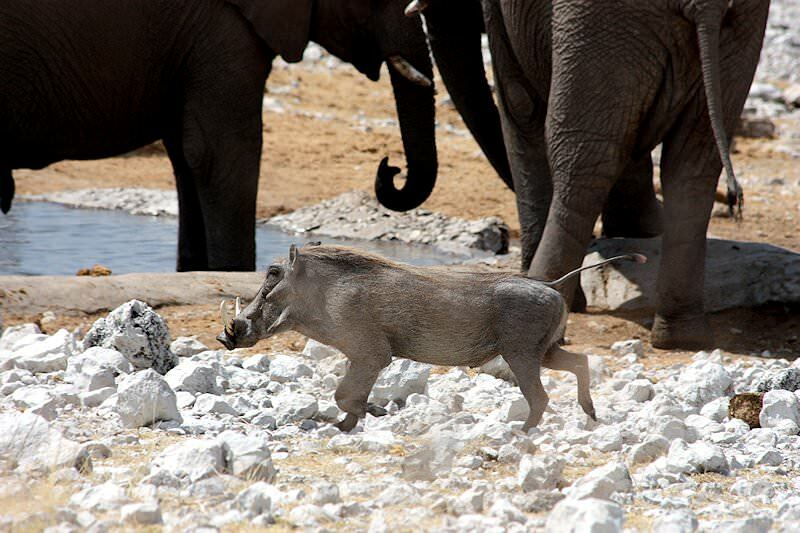 Due to the predictability of game concentrations, Etosha is not only one of the most popular parks in Southern Africa but also has an exceptionally high proportion of predators to herbivores. 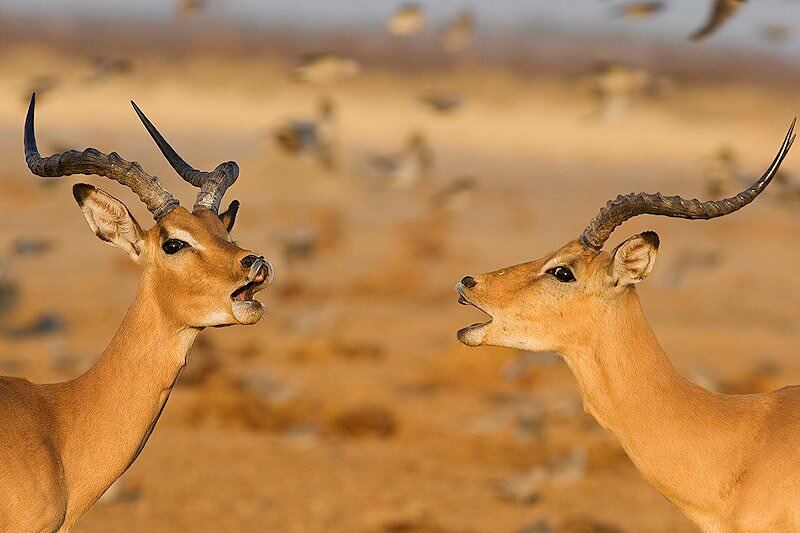 This offers visitors an excellent chance of witnessing thrilling confrontations between lion and zebra, springbok, impala, and wildebeest. 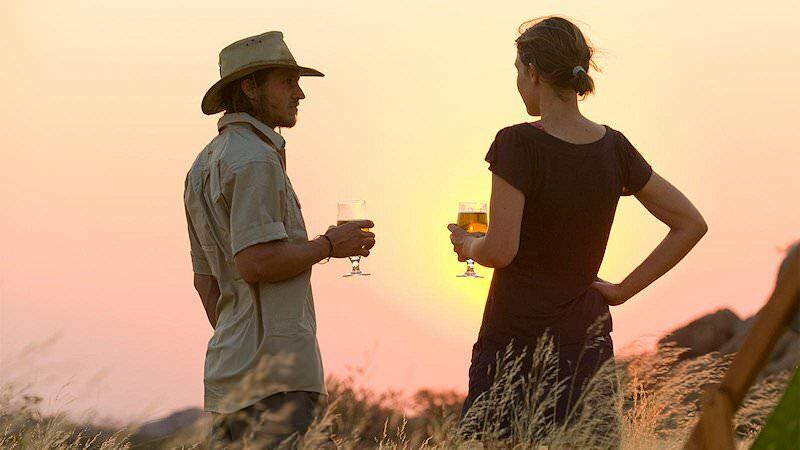 During the evening guests will have the opportunity to sit along the fence-line overlooking the lighted waterhole, from where many animals and most notably black rhino are frequently viewed as they come down to the waterhole during the hours of darkness. After a last morning game drive in Etosha, the tour departs via the park’s eastern boundary gate and travels south to Windhoek. On arrival in Windhoek, guests will board a regional flight to Johannesburg, bringing to an end a memorable Namibian vacation. Botswana offers the opportunity for guests to enjoy water-based safari activities. 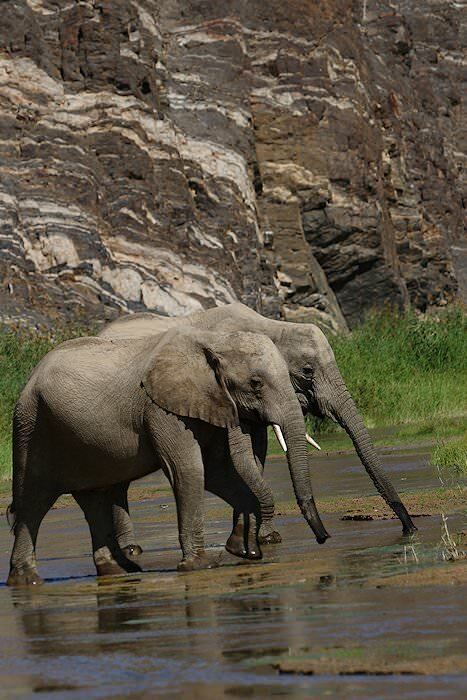 Zambia is ideal for nature enthusiasts looking for more than the traditional safari. 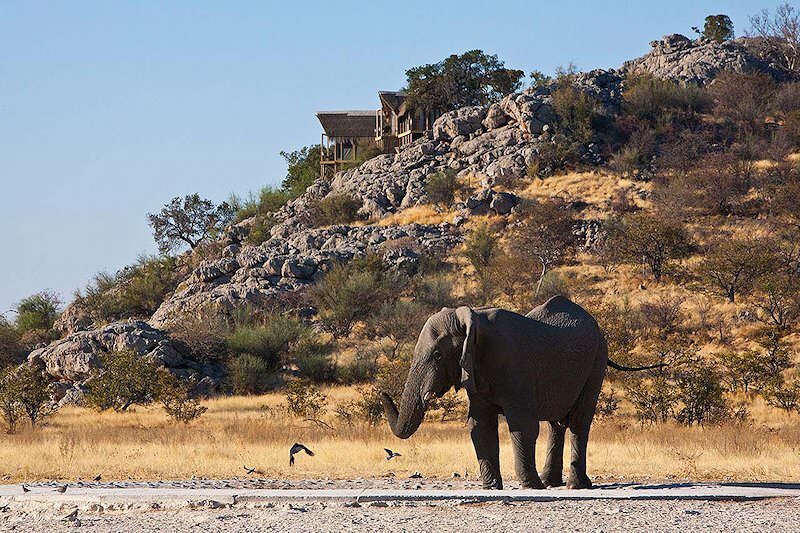 Zimbabwe's sought-after wilderness areas include Hwange and Mana Pools. 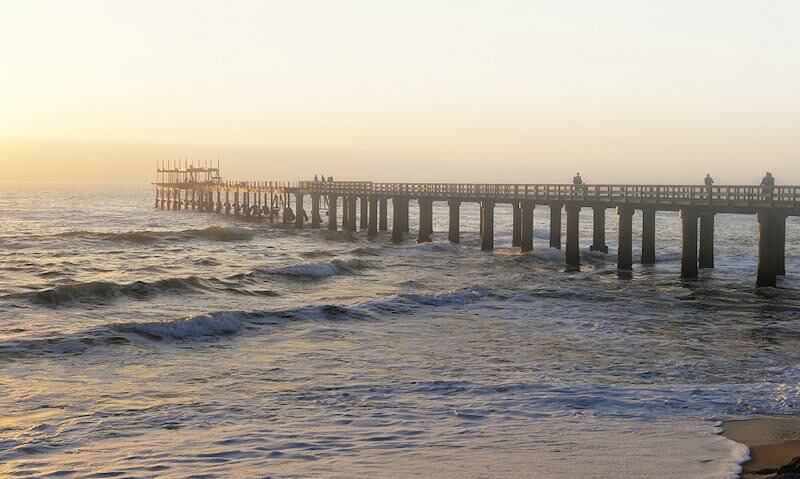 A safari in Mozambique typically comprises ocean-based adventures. The Kruger National Park's sheer size and fine infrastructure means that a wide variety of safari options are available to visitors. Our luxury safaris explore the wildest and most magical corners of Southern Africa, from Etosha National Park to South Luangwa. 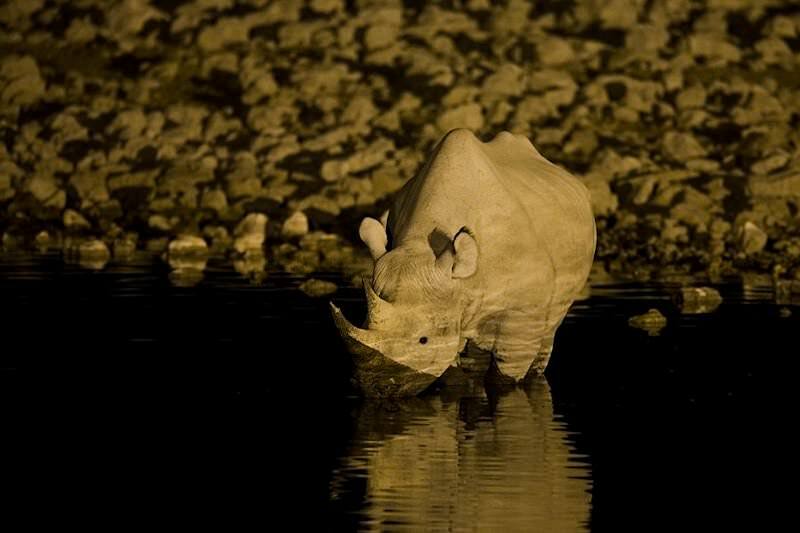 The Big Five are most prevalent in South Africa's wilderness areas, including the Greater Kruger, Zululand and the Eastern Cape. 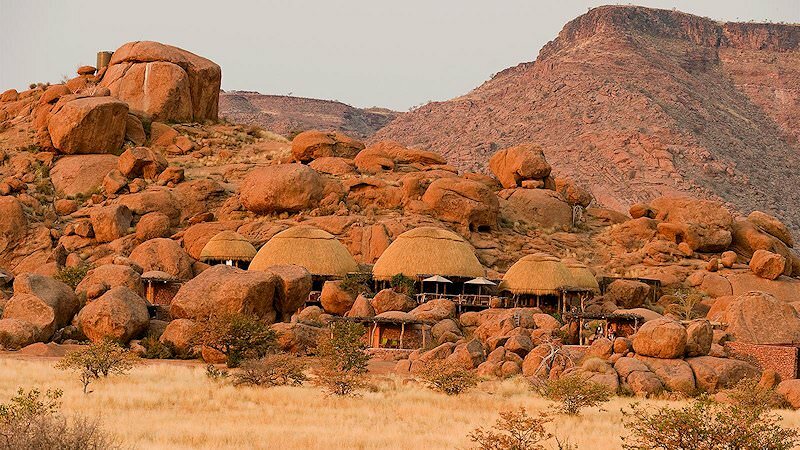 The African lodges featured in our esteemed collection of properties are sought-after for their choice locations.